The global public cloud market is estimated to grow at 25% and top more than $190 billion in 2018 from just $87 billion in 2015. 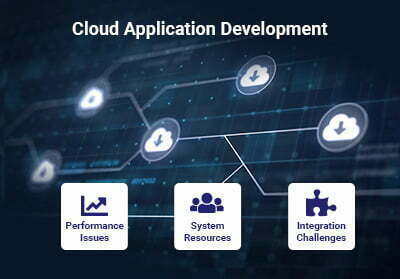 This trend clearly suggests that cloud-based applications are the hottest trend currently, and developers need to keep up with the technological advances taking place in the cloud architecture. Today, an application can consist of several thousand modules that interact with one another. Tracing these connections and to understand what is connected to what can be challenging. Your planning process should encompass the on-planning resources and infrastructure that your company or supplier has, and this has to be coordinated with the apps scheduled to be moved to the cloud, especially when working with public cloud services. Another problem is the unknowingly waste of resources on cloud service fees. Cloud-based applications are dynamic in nature, and system configuration is perpetually in fluctuation. A virtual machine that is allocated for a test just for a day can still be running months later. You need to pay for the electricity to keep your servers running, but that might not increase your operating expenses substantially. However, usage-based metering on leased virtual machine resources can quickly add up to your mounting bills. Thus, it becomes necessary to take necessary steps to mitigate these potential costs. Initially, cloud applications ran only on a few computers, making it easy to identify any performance bottleneck. However, today cloud services run on multiple servers in massive data centers. Sometimes, 10,000 miles of cable is used to connect systems in one data center. It is crucial that developers understand how the information flows among web servers, application servers, and database servers to understand how it can affect performance. Your cloud application design must include any server or bandwidth issues to ensure that your system meets service-level agreement objectives. Cloud often means working with different and new platforms such as Amazon Web Service (AWS), Microsoft’s Azure, and Salesforce.com’s Force.com. Also, developers may need to get familiar with open source cloud solutions such as OpenStack or CloudSack. Its time organization invests in training their personnel, so they can keep pace with the changing technologies and understand how to maximize cloud development.